PTB: We see assaults on Washington DC, Dubai, Brazil and Manhattan in this issue. 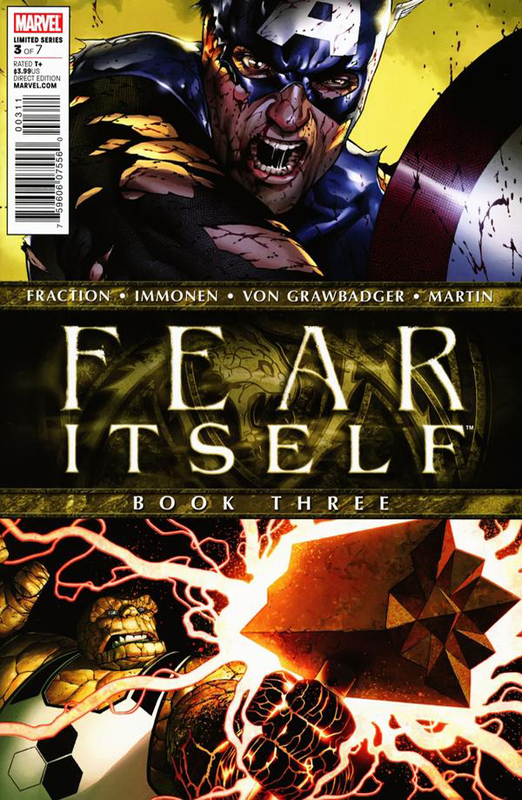 While we don’t see much of what happens in those places without reading tie in issues, it speaks to what we talked about last time regarding Manhattan and the scope of World War Hulk versus the planet-wide hysteria we’re reading about in Fear Itself even if we’re not seeing it. KevinMLD: I feel like we’re not really getting a sense of the real threat from just reading the main mini-series except in dialogue, which is a huge failing. 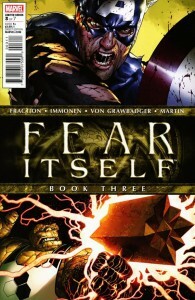 I shouldn’t have to go read some Avengers title to see the Hulk or any of the other of the “Worthy” be a threat. PTB; I have to agree with you here. I’m enjoying the story, but there’s just something wrong with knowing that the major threats presented outside of Washington DC, are probably not going to see a resolution without reading Avengers #15 (featuring the Hulk/Nul), Avengers Academy #15 (featuring the Absorbing Man/Greithoth), or Fear Itself: Spider-Man #3 (featuring the Thing/Angrir). From the recap, we learn that one of the Serpent’s eight new hammers has fallen on Yancy Street and from the title of the issue you’d think we’d be reading about the one that landed in Ben Grimm’s neighborhood. We get all of four pages on that. What’s particularly frustrating is seeing The Thing holding it on the cover since that’s really all we get to see inside the book. Thankfully, Stuart Immonen’s artwork is great once again and makes up for some of what’s lacking in the story. I think the widening perspective used on page one and the two-page spread of the Thing’s assault on Yancy Street look awesome. KevinMLD: I’m curious what the criteria for being Worthy is now that the Thing is among them. I obviously had assumed it was a Fear thing. 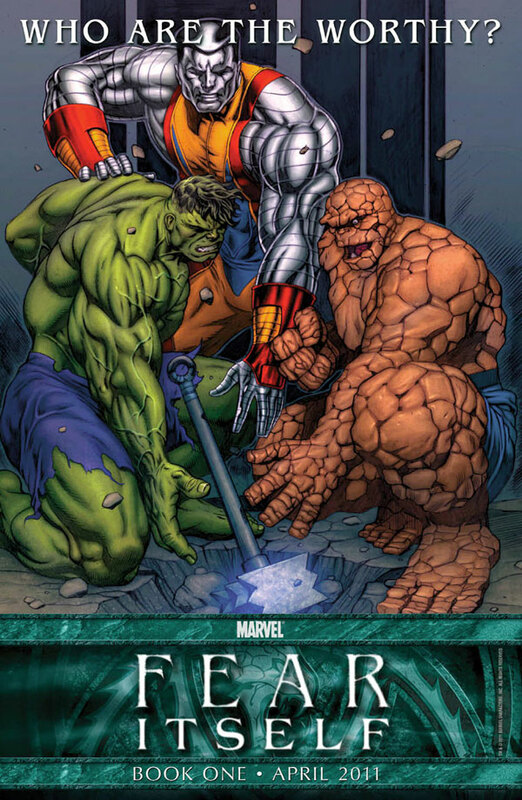 I guess you could argue some people fear the Thing’s appearance, but then again the guy who is yelling at him before he lifts the hammer certainly doesn’t fear him. PTB: That “man on the street” was outright provoking him about the death of his best friend! No fear there, but I’m hoping the point may be that there’s plenty to fear from him. The conversation is more interesting in that light, but reminded me too much of the way they crowbar New York City into the films. KevinMLD: That’s the worst part of the Marvel films. Especially Spider-Man 2. 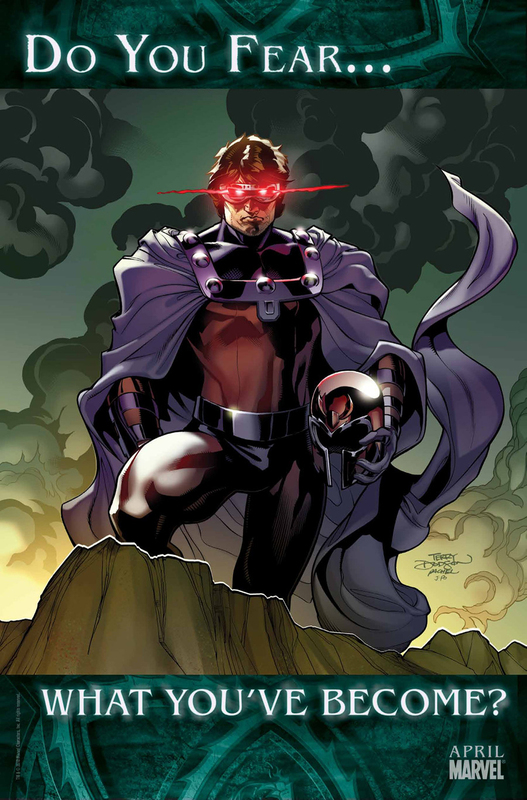 PTB: While we’re on the subject of the Worthy and particularly the Hulk, what do you think of his Fear Itself “Nul” redesign? It has elements similar to both his House of M and Planet Hulk looks. I like it. KevinMLD: Sadly, I’m sure they put a lot of time and effort into the design, but it’s just not that interesting to me. It does look like House of M crossed with elements of Planet Hulk. Unfortunately, neither of these are among my favorite stories. I just want my Hulk in ripped purple shorts with messy hair. PTB: Also, Red She Hulk can shift at will? Does she retain her mind and personality? Is this true for Red Hulk too? KevinMLD: Who knows? This story has very little to do with what’s happening in the Hulk titles right now. Currently Betty’s gamma readings are spiking and everytime she becomes the Red She-Hulk she risks being trapped in that form. It seems she can shift at will and maintains elements of her personality though an angrier, less predictable version of herself. To answer your other question, the Red Hulk has nanites in his brain that will kill him if he becomes Thunderbolt Ross again. He hasn’t even slept in months. Otherwise he could change at will. Getting back to Fear Itself #2, Steve Rogers flight suit is a hysterical ’70s throwback. PTB: It’s a neat moment, but Steve jumping isn’t nearly as much fun as his jump in Civil War, flight suit notwithstanding. A detail that stands out to me in the scene leading up to this is the absence of Victoria Hand. When the Heroic Age began, Commander Rogers had Sharon Carter, Maria Hill and Victoria Hand all running aspects of his Avengers operation. There have been revelations that Victoria is a double agent in New Avengers and I’m wondering if that’s what’s being reflected here. KevinMLD: Even with Sin being possessed by some godlike character, watching her take down Bucky feels like watching some rookie wrestler get pushed over an established veteran. It’s hard to buy into it. PTB: I get that. The line about waiting her whole life to kill him made me wonder if she even knows who she’s fighting. We’re also hearing what Skadi (the creature possessing her) is saying and it makes me wonder how much Sin is really there. Her hammer attack on Cap looks awesome though. KevinMLD: DC in particular has taken a great deal of criticism for maiming it’s characters, so it cracked me up to see Sin tear off Bucky’s arm as I don’t expect to see Marvel get the same grief. PTB: It is a cybernetic arm. That’ll get a pass. Also, the art gets a bit confusing at the climax. 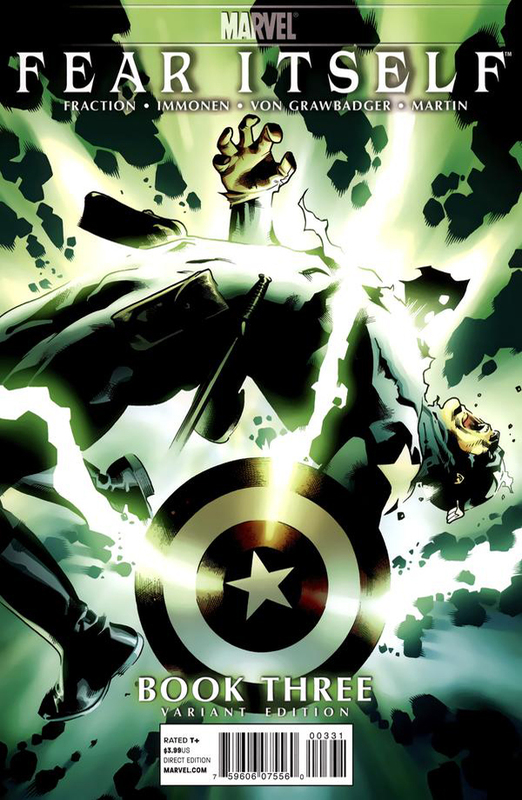 Bucky is launched into orbit and getting impaled on the ground from one panel to the next. KevinMLD: Yeah, I’ll especially be pissed if Bucky is really dead here while he’s basically given up being Cap and is sitting in a Russian Gulag in Captain America. PTB: I was going to ask about that very thing. It seems really unlikely that Marvel would let Fraction kill Bucky here even though the Fear Itself panel at Heroes Con indicates that’s the case. It was interesting to me that he refers to Steve Rogers as Cap when Bucky is currently using that name. Does he do that regularly? KevinMLD: Yeah, he usually calls Steve Cap. Also, I think Bucky was supposed to be a part of a Captain America Corps series, but I guess that may be set before Fear Itself. Bucky is the perfect candidate to die is a series like this unfortunately. Having said that I’d have greatly preferred that Jason Todd had been killed off doing something amazing in a high profile crossover than continue to run around sucking the way he has. I can’t believe DC is giving him a team title post-Flashpoint. Then again, Bucky’s resurrection has been better written since the beginning. PTB: I’m not fully up to date on Loki’s current status (last I read of him I think he had stopped being a woman and maybe died during Siege), but I really enjoyed the jailbreak scene. KevinMLD: I’m way out of date on Thor, but why would he have stopped being a woman? Why would he have started? That sounds ridiculous. PTB: I hope their is a good twist to explain Odin’s evasiveness regarding what exactly he’s afraid of. It makes me wonder though, are Thor or Steve Rogers even going to know anything about the Serpent when they receive Bucky’s warning? KevinMLD: I think that’s part of my dissatisfaction with the series. The heroes aren’t even aware of who the villains are yet. How many issues are in this series anyway? PTB: Seven issues, but by this point things should be a little further along. One other point from our previous discussions about the need for humans to rebuild Asgard in Oklahoma came up in issue #3 as we see Odin rebuild all of Asgard himself. KevinMLD: Exactly!! This was my point in our last discussion. Why would the Asgardians need Tony Stark’s help? Why would they want it? The other thing that I just realized is really bothering me about this series is that so far it has NOTHING to do with all of the previews that ran for it. What happened to a series examining what all of these characters fear most? In stead, we’re focusing on weird Norse God/Marvel C-List character hybrids (and Hulk). PTB: That’s undeniable. There was a real atmosphere of uncertainty to go along with those ads and previews and none of it’s going to be explored in any meaningful way in this series aside from what’s alluded to in the Thor and Cap teasers. KevinMLD: In conclusion, I also think that if MTV’s new Teen Wolf series doesn’t involve a werewolf playing in a high school basketball game then it’s a crime that they’re using that title.